We all know the warning signs. The sink takes a little longer to drain. You begin to notice water pooling around your feet in the shower. And the odors. The strange, unpleasant odors. They’re all signs that you may soon be facing a clogged drain. And then one day, boom. Your drain is blocked completely. It’s something you need to deal with quickly, or face the wrath of a burst pipe or a useless bathroom. Simple enough, but surprisingly effective. Take a regular wire coat hanger and straighten it out as best you can. Then, bend one end over to create a small hook. Push that past the drain cover and start fishing. You should be able to get all sorts of hair and nasty stuff out of the drain. Remember, you always want to be pulling gunk out, not pushing it further. When you’ve got as much out as you can, run the hot water, and it should clear things up nicely. Tips don’t get any easier than this. Put the kettle on (or use the stove or microwave if you don’t own a kettle) and boil up as much water as it will hold. Now pour it slowly down the drain in two to three stages, allowing the hot water to work for a several seconds in between each pour. This is usually the easiest and quickest way to unclog a drain. If there’s any water left, congratulate yourself with a cup of tea. Get some rubber gloves and eye protection. Caustic soda (also known as Sodium Hydroxide) can cause nasty chemical burns. You can pick some up from your local hardware store, but always use caution handling it. Pour 3/4 gallon of cold water into a mop bucket, and then add 3 cups of caustic soda. Stir it well with an old wooden spoon. It will begin to fizz and heat up. Pour it into the clogged drain and leave for 20-30 minutes, then flush the drain with boiling water. Repeat if necessary. There are some plumbing jobs that I won’t do, but this one is easy. First, place an empty bucket underneath the U-shaped pipe (the trap) beneath the sink. The bucket will collect the water that will spill. Using a plumber’s wrench, loosen the slip nuts at both ends of the pipe. You should be able to finish the operation by hand. When the trap is free, remove it and turn it upside down, emptying the contents into the bucket. You may also need to fish around inside it for debris, and do the same with the pipes that were holding it. An old toothbrush is good for getting the tough gunk out. Rinse the trap with water and then put it all back together. In most cases, that will have done the trick. This is a fairly low-tech piece of equipment that works wonders. It’s basically a long flexible metal rope with a spiral of metal at the end. The following video shows you just what to do. Mix 1/2 cup of table salt with 1/2 cup of baking soda and pour down the blocked drain. Leave it for 10-20 minutes, then pour boiling water down. The salt, baking soda, and boiling water will produce a chemical reaction that should dissolve some of the nastiest blockages. If your toilet is clogged, pour 1/4 cup of dish detergent in the bowl. Then boil some water. The dish soap will act as a lubricant and help break up any greasy residue. Then pour the hot water down, and get ready to start plunging. If the plunger doesn’t cut it, rubber gloves may be the next option. If your bath drain is clogged, mix up some of the baking soda/vinegar mentioned in tip two. Pour it down the drain, and then place the stopper over it. After 45-60 minutes, fill the bathtub with water. Then, remove the stopper. The pressure of 40-60 gallons of water should be enough to dislodge the blockage that has been loosened by the baking soda and vinegar. You could also try some plunging or the drain snake in conjunction with the weight of the water. Those are 10 quick and easy tips that should help you deal with the most stubborn blockages. Do you have any great tips? Let us know. Sometimes, a blockage might not be as straightforward to clear, even with our specialist jetting equipment. So we may suggest carrying out a CCTV inspection of your drains to understand exactly what’s going on. We’ll put a tiny camera through the drain, so we can track down the problem and find a way to fix it. This means we can detect more serious problems and help you prevent them from happening again. There are many reasons for a drain blockage. It might be a build up of fats, oils, grease or soaps. It could be dirt, silt, leaves or foreign objects in your drains – or structural defects like roots, corrosion or subsidence. Whatever the cause, the consequences can be serious: bad smells, a collapsed sewer pipe or a toilet overflowing. So we’ll help identify the cause and help you to get things flowing again. A damaged or collapsed drain won’t work properly, it runs the risk of leakage water or sewage into your home. So if there’s a problem, you’ll need to access, repair or replace your drain fast. That’s where steve Hastings drainage come in. We’ll deal with any challenge safely and effectively. You don’t want to pay to see an engineer, so we don’t have call out charges. We give you an fixed price quotation up front, with no hidden charges. If there’s a problem with your drains that unblocking alone won’t fix, for example a collapsed drain, then you may be covered by your buildings insurance. Our engineers can tell you more about this and support you with explaining the situation to your insurer. If your insurer accepts the claim, we can get on with fixing the problem. More often than not, we clear a blockage manually or with one of our specialist jetting or mechanical tools. But if a blockage is more stubborn, there may be a bigger issue. That’s where the steve Hastings drainage CCTV survey comes into play. At steve Hastings drainage we’ve been unblocking drains for a little over 15 years We understand what a hassle a blocked drain can be – and how quickly you want to get back to normal. So, we’ll help find the cause and use our specialist the equipment do our best to fix it. Respecting your home and property is a top priority. So, as you’d expect, your steve Hastings drainage expert is fully trained to use our water jetters. They’ll set up a safety area and follow strict safety guidelines to keep you and your property safe and clean. If there’s a persistent issue that our specialist kit can’t fix, we can offer a CCTV survey of your drains to get to the bottom of the problem. We’ll also explain how the cost of structural drain repairs could be covered by your buildings insurance. 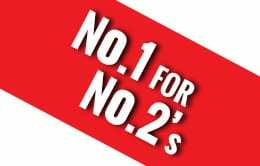 Any work we carry out is fully insured and backed by a 12-month guarantee on workmanship too. Need us to unblock a toilet, or drain water out of a bath, shower or basin? We’ll take care of it. If the job isn’t so straightforward and is linked to outside pipe work for example, we can tackle that too. Our engineers carry a range of specialist equipment in our distinctive vans, so whatever the job, we’ll deal with it safely and efficiently. We know that an emergency with your drains can be a real drama. Especially when water or sewage is flooding your home or garden. With a little over 15 years of experience, we have the expertise to deal with blockages, overflows or floods – and to get your life back to normal. Whatever the size of the problem, we’ll find the source and fix it safely and effectively. Drain jetting can be used on all types of drains and obstructions. The water is so powerful that clearing blockages caused by grease, fat or scale takes no time. It can also remove tree roots or anything else that is lodged in the drain. Most of our engineers carry a jetter on their van and can set it up in minutes. If the jetter can’t clear a blockage, the drain may have collapsed. The good news is that the cost of accessing and repairing the pipe may be covered by your buildings insurance. Your engineer can explain how steve Hastings drainage can help you describe the situation to your insurance company and if they accept a claim, we’ll even work while it is being processed, so you don’t have to wait. An integral part of any drainage system are the access points into it when it comes to cleaning, clearing and inspection, however the number and construction of any chambers at your property, if any will be largely dependant on its age. Building regulations as we know them now came into force on a national scale in 1966 with properties built prior to this being subject to local public health acts and local by-laws and housing acts which could vary greatly from one area to another. In London there was great debate about the use of interceptor traps in chambers in the late 19th Century and whilst one borough would insist on the form of chamber construction to be used their neighbouring borough would not necessarily insist on a chamber at all. So quite often on earlier properties whether you have an access chamber or not could be down to the original builder, then again in the 1960s when new build housing estates were constructed with separate storm and foul systems you would often find a house occupying a corner plot having numerous chambers many of which may not actually serve the property. So you could find yourself with numerous unsightly inspection chambers in the middle of your bowling green style lawn, or a dirty great cast iron manhole cover spoiling your patio so many manhole covers are hidden or buried. Landscapers, gardeners, flag layers and tar-mac laying gangs are all responsible for this kind of thing at one time or another however with modern inset type covers and frames it is possible to discreetly incorporate a cover into any form of hard standing or landscaping project. Covers are also lost due to the natural growth of a garden in flower beds or shrubbed areas and many extensions are constructed over drainage systems and their access points, often with dire consequences such as rat ingress into the home. Firstly if you have a look at neighbouring properties of a similar construction to yours they are often a mirror image, if they have a chamber on the front boundary line or adjacent the the soil vent pipe then chances are yours will too especially If this is echoed on two or more houses and the covers seem original to the style of the property. If however the properties are uniform but there are all manor of chambers at different locations with newer covers this would tend to indicate that the chambers have been added to the system at a later date. Most concealed covers are literally inches below the surface and often its the depth of the flag or the thickness of the tar-mac that is covering it, so if you have an idea of where the cover may be a metal detector could be an easy and relatively cheap method of locating it. Most metal detectors can be affective to a depth of 300mm so anything beyond that and you may struggle, and of course it could be a stone flag covering the chamber instead of a metal cover so you may not get a signal at all. The modern version of the metal detector is the ground penetrating radar which can be used to locate drainage runs, culverts, manholes and chambers, its a high tech bit of kit and the cost would be prohibitive for a single domestic chamber however on large site investigations its a useful tool. A very low tech piece of kit is a road pin which is basically a 4ft spike, we use these when looking for manholes in soft landscaped areas such as flower beds and lawns. Again you need to have an idea of where you think the cover is and you push the spike into the ground and hopefully hit whatever is covering it, common sense should be used of course so don`t go driving any spikes into the ground with a dirty great lump hammer just in case you come across a gas, water or electric service pipe. A drain camera inspection survey will find any concealed chambers or traps we then use a sonar drain tracer to locate it at ground level, you will of course need access into the system in the first place whether that be via a rodding point, an excavation or another chamber. The majority of chambers were brick built with some of the larger chambers on sewer systems being works of art with corbled and stepped courses used to reduce the chamber size at ground level and arched sections used instead of reducing slabs, we find very old circular brick built chambers occasionally without any mortar being used above the channel pipe levels. The time and effort spent on the construction of some of these chambers in today’s terms would be phenomenal, and on the off chance that you could find a modern brick layer happy enough to work in a trench the cost would be prohibitive, for this reason and a few others modern chambers are rarely completely constructed from brickwork unless for rare site specific reasons. Erosion of the sub-soil beneath the chamber can cause subsidence and the chamber will lean or rotate, this is often compounded by vehicular movement. Water loss can occur due to defective pipe work entering or leaving the chamber, water erosion from a burst water mains or ground water ingress can also affect the chamber base and brickwork. Tree root ingress is common on brick built chambers usually entering between the manhole and its cover or through the sand and cement benching, however roots can also find their way through the brick work itself if there has been erosion to the pointing or any cracks in the bricks themselves. Concrete section manholes have been around for many years and are produced for the domestic market as well as large sewer systems, rectangle sections as small as 600x450x150mm (length x width x depth) can be easily carried by one person, by the time you get to the 600x450x300 then you will be looking for a mate to help you out. Once you get to the larger sectional stuff you will be needing some serious kit to move it around and lower it into the trench, many standard sizes come with built in steps and they will cut out inlets and outlets for your pipe work if required, other standard products include reducing slabs and seating rings. Concrete is also used on large construction projects such as motorway and airport sites where specialist manhole shuttering is installed and the concrete is poured on site to form the chamber insitu. Preformed plastic manholes make the construction of a domestic chamber very simple, they come in three components the manhole base, the riser pieces (manhole rings) and the cover and frame. The chamber bases come in numerous forms from a straight channel running through the chamber to a channel with several branch lines entering from either side, once you have the correct base you add as many raising pieces as is need to get to ground level before you pop the cover and frame on. Well its nearly that simple but there are strict guidelines with regard to the width a chamber has to be at any set depth, they do however make polypropylene chambers that can be installed to a depth of 3 metres. The beauty of these chambers is they are easy to assemble and its easy to achieve a water-tight construction, the components are lightweight and the raising pieces are a doddle to cut to achieve the correct height. There are also specialist chambers constructed from glass reinforced plastic for harsher industrial environments or for bespoke site specific chambers. Misleading advice on bathroom products such as baby wipes, make-up wipes and cotton wool is contributing to drainage problems for thousands of families, new research reveals. Millions of the hygiene products are flushed down the loo each week – clogging pipes and forcing sewage to overflow onto roads, into rivers, and into people’s homes and gardens. Disposable hygiene products are really convenient, we all use them, there’s a wipe for just about everything! However they should never be flushed down the loo, throw them in the bin instead. 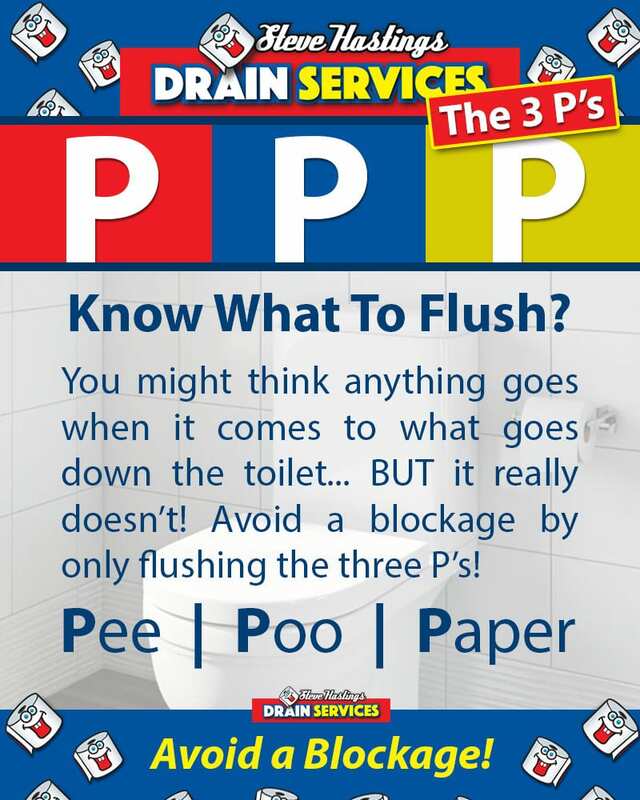 Sanitary items also cause problems with blockages and can be a bit embarrassing if your plumber has to clear it! Unfortunately, for many of us, the first sign that there is an issue with our drains is a foul smell. It is often the case that pipes will remain free-flowing and appear fine from the outside, yet the problem may be hidden internally and can grow out of control if not dealt with immediately. Blocked drains are something we all encounter at some point in our lives, and no doubt you’ve heard advice about dealing with it them from your dad, your neighbour or the nosy parker who just happened to be walking their dog past your garden – but they’re not all right. So, what are the biggest myths surrounding the world of blocked drains? What is the actual truth? Most people choose to simply pour a large amount of bleach in their drains when they realise there is a problem. This does not work in all cases, but there is an added issue of these types of cleaners being very corrosive in nature. Over a period of time and continual use this makes the integrity of the drainage pipe interior weaken and causes damage. But, it is also an issue as not all drains can be unblocked simply by using a chemical cleaner. The DIY attempt may also cause you irritation as bleach can be an irritant if you get it on your hands and even worse if it somehow gets into your eyes. The more you use, the higher the toxicity is, and this is a risk to your health. People tend to ignore minor issues, or just simply consider a problem smaller than it is, until it is too late. If water is draining noticeably slower or blocking more often, it is a sure sign of a larger issue. Slow moving water is not just the way a drainage system works, despite most people assuming it is. Ignoring this will only make the problem worse. The worst case scenario is a burst pipe, so treat this issue seriously early on and avoid disaster! This is categorically a myth. Not all plumbers do drain cleaning, it is actually a specialised service and some plumbers specialise in another area instead. It is also not a required element in plumbing code, so those who do drain cleaning may not necessarily be a plumber either. If you are unsure, many companies will explicitly state what services they offer and if not you can always contact them to find out if their services apply to your needs. Drainage systems are nifty things – they get rid of all of our waste without us needing to think about it… most of the time. Sometimes, problems do happen, and they can be easy and affordable to resolve if caught early. But how can you know if there’s a problem before it becomes too serious? Here at Steve Hastings Drainage, we’ve put together a list of five things to watch out for. If you hear a “glug-glug” sound in your bathroom after flushing the toilet, or from your sink after doing the dishes, a partial blockage could be the culprit. If the flow of water is obstructed, air bubbles will form, creating this gurgling sound. Minor clogs can be resolved at home; more serious issues will require an expert. You may find that your toilet water level is lower than normal, or that your bath is draining more slowly when you remove the plug. This could signal problems deeper within the system, and should be investigated. Strange smell coming from your kitchen sink? It could be a build up of gunk in the system (have you been pouring fat or other unwanted items down there? ), or defective drains leaking into places they shouldn’t and festering. Leaky drains can show themselves on walls and floors – and not just as damp patches. Grey or white crusts on the walls or on basement ceilings could be a sign of a water leak – these deposits are caused by the minerals in water that are left after the liquid evaporates. While these could signal a more general damp problem, mould and mildew can also arise as a result of excess water due to poor drainage. They can be harmful to health, so it’s definitely worth finding out the cause and eliminating it. Spotting and dealing with these five signs as early as possible can save a great deal of hassle and money in the long run. If you’ve spotted any of these warning signs and want advice, contact us today. HOW DOES MY DRAINAGE SYSTEM WORK? Some problems with your drains go beyond a simple blockage. When this happens, you’ll need to call in the professionals. At steve Hastings drainage we have a little over 15 years’ experience in the field, and we’ve seen it all. So you can be confident that we’ll do our very best to sort out whatever the problem is, meaing you’ll soon be getting on with your day. If a blockage can’t be fixed easily, we can offer a CCTV survey of your drains. This will show us exactly what is going on, and means we can start working on a solution. The result? Your drains fixed with minimum hassle. Persistent problems can be a real headache. But you can get peace of mind and see the problem in full technicolour with a CCTV drain survey. We’ve found all sorts over the last 15 years – tree roots, collapsed pipes and even mobile phones. Whatever the cause, we don’t just track it down, we put it right. If there are blockages, gurgles, slow water draining or bad smells coming from your drains, it’s best to call in the experts. Whether it’s drain cleaning or drain unblocking, here at steve Hastings drainage we’ve got a little over 15 years of experience under our belts, so we’ve seen it before – and fixed it before. HOW TO STOP YOUR DRAINS FROM GETTING BLOCKED? The problems of blocked drains are faced by people across the world. No matter how good drainage system you have, if you fail to use it in the right way, you will always encounter terrific blockages. There are several reasons that lead to clogged drains or blocked drains (whatever you call them) and it’s your responsibility to figure them out so that you can avoid drainage problems. Whenever you use your kitchen sink and washroom you have to be extremely cautious about what goes down the drains if you really want to avoid future drainage problems. You cannot take your drainage issues lightly because once you face them you have to deal with different kinds of unhygienic conditions which can even make you sick if left unresolved for a couple of days. For example, if the drain pipe connected to your kitchen sink gets blocked, you will have to deal with the problem of an overflowing sink. If you fail to fix this problem immediately, you will also have to deal the foul smell that will come out from your sink. So rather than going through all these problems, it’s better to avoid those mistakes which can create blockages in your drains. Read on to figure out what are those mistakes which you must avoid on a daily basis. Most of the times while cooking food in your kitchen, you fail to pay attention to small mistakes which can, later on, create big problems for you. For example, only a few people make use of a vegetable strainer when it comes to washing chopped veggies in your sink. The use of vegetable strainer is very important if you want to stop finely chopped veggies from going down the drain. In other words, those people who do not use vegetable strainer end up flushing a few vegetable particles into their kitchen sink each day, which eventually contributes to the formation of blockages in the drainage system. Both fat and oil play a great role in the formation of fatbergs in your drain pipes. If you pour oil in your kitchen sink, it will end up sticking to other types of solid waste in your drain pipes such as vegetable particles, leftover pieces of bread, rotten fruits, and wet napkins etc. When fat and oil keep attracting the solid waste that flows throw the drains along with the chemicals, over a period of time it ends up forming fatbergs, which block your drains. So while preparing food and washing the cookwares and bakeware, make sure you avoid flushing unwanted food particles into your sink especially oil and fat. Once you are done with having your food, make sure that you transfer all types of remaining food particles from the dishes to your dustbin. It means, before keeping the dishes and cookware in the sink you need to clean the food particles from them so that nothing goes down the drain. You should also inform all your family members to take necessary precautions when it comes to preventing the formation of blockages and fatbergs in your drain pipes. If you have small kids at home teach them effectively that they need to throw all the rotten fruits, veggies and foods in the dustbin. Apart from that, you must use drain strainers so that you can stop unnecessary things from entering your drains. Sometimes it happens that you end up throwing food into the drain by mistake, in that case, a drain strainer can stop it from entering the pipes. On top of that, you should also clean your drains with baking soda and hot water every 15 days.